Discount Cuaba Cigars cigars store have the lowest online prices on cheap cigar. 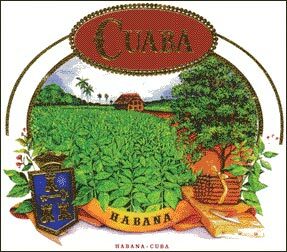 Corporation Habanos s.a. first launched the Cuaba cigar on the market on 19 November 1996, in London. The name of this cigar is very old, and dates back to the times of the early Cuban settlers. This was the name of an indigenous tree in the island, featured by its excellent burning properties, that is still grown in the country. These cigars, which stand out by either pleasant aroma and enticing dark gray color are pointed in both ends, whereby they are called figurados (torpedo-shaped cigars). They are offered in traditional boxes of 25 cigars.